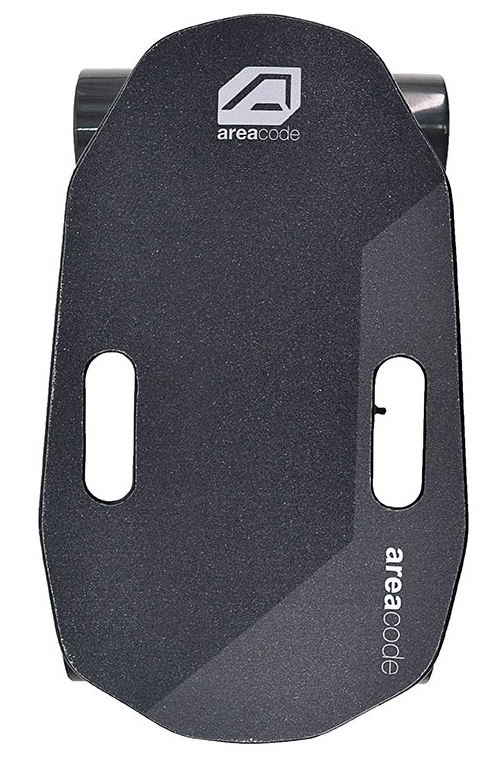 The deck looks like a mashup between the ELOS and the Stealth-like styling of the 121c Rover. 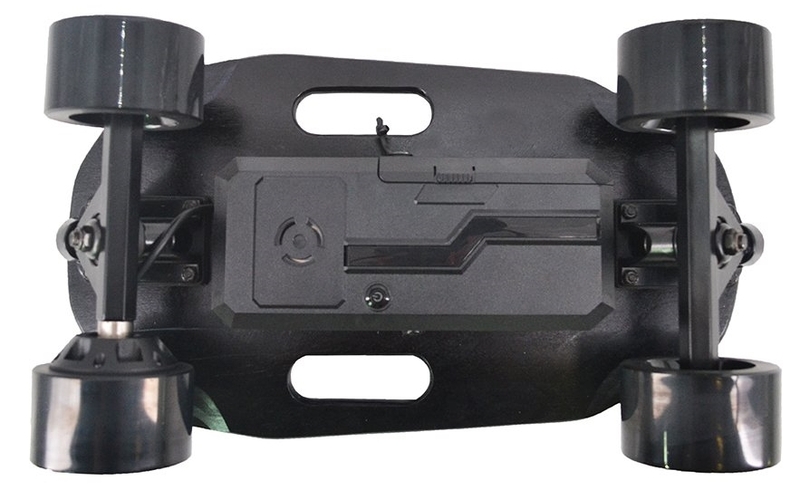 It has a swappable battery, a 350w single-hub motor, and monstrous 90mm wheels. Those wheels seem too damn big for that small deck! The swappable battery and enclosure look like the DIYeboards kit. The claimed range and max speed are hilariously unbelievable: 13 miles and 18mph. Did they bother to confirm the specs palmed off at them from China? I don’t think so! Cut those claimed specs in half at the very least. And at max speed, you’d have a range less than you could walk. Speed demons will need a second battery. The entire setup seems overweight too: 11lbs. Electric ELOS come in at 10 and below. It’s probably the larger wheels that account for the added weight. What makes me scratch my head even more is that this is from Juiced Bikes, which has been around since 2009. This is not a fly-by-night Chinese company. Apparently, it was introduced only yesterday (Cyber Monday). They also have a longboard (which is not interesting to me). This is all a puzzle that only heightens my curiosity. It’s too bad it’s so new that there aren’t any YouTube videos from credible reviewers. Thanks to u/derekmccurry at Reddit.